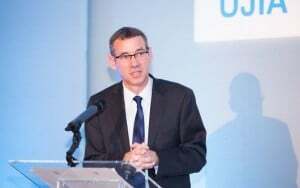 A talk by Mark Regev, Israel’s Ambassador to the UK, scheduled to be given at City University, London, had to be cancelled last week because the university would not provide the security recommended by the police. The Union of Jewish Students and the City and Cass Israel Society said they were appalled at the university’s decision, accusing it of having “prioritised divisive politics over the safety of their own students”. Other student groups at the university claimed that the decision was made in relation to “wholly unreasonable demands made upon the university by the police”, which included bringing armed guards on to the campus. However, others have noted that Israeli diplomats have spoken on university campuses more than 150 times over the past four years, where all host institutions have managed to accommodate the necessary security arrangements so as to balance freedom of speech with the legitimate right to peaceful protest. It is a sad fact of modern society that armed guards are necessary to protect certain individuals when they attend public events, even in the UK. What neither the publication nor the tweet acknowledged was that the Israeli ‘attack’ came in response to Hamas firing more than 460 missiles into southern Israel. And so this dispute once again features the repeated pro-Palestinian tactic of telling just one side of a situation, so as to distort the picture and make it seem that it is the Israelis who are to blame.